Feral cats are homeless, free-roaming cats that are unsocialized. Most were born in the wild; however, some are previous pets who were abandoned or lost and reverted back to their “wild” state. “Feral” is a word that describes the frightened behavior they display. Feral Cats live in a colony, which is a group of Feral Cats living together in a specific location. They establish the territory because it offers food and shelter. 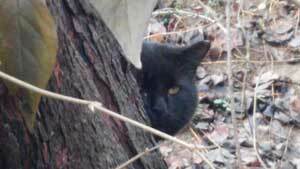 Where are Feral Cat Colonies? They can be found behind shopping areas and businesses, in alleys, parks, woods, dumps, abandoned buildings, or rural areas. Feral Cats can also live under porches or sheds. These animals live in the shadows with little or no human contact and are often left to fend for themselves. What is a Stray Cat as opposed to a Feral Cat? Stray cats are tame cats that have either been lost or abandoned. They are socialized and are adoptable because of their contact with people. Feral Cats are unsocialized and unadoptable, although there are exceptions..
Should I be afraid of Feral Cats? Generally speaking, there is nothing to fear from Feral Cats. They are frightened of humans and prefer not to be around them. Most remain quiet and hide from view when unfamiliar people approach. Due to the fact that they have had no socialization, they do not want to be petted or handled. If frightened, cornered or threatened, they may swat, scratch or bite as a defense mechanism. The “wild” behavior associated with some fFeral Cats is their only means of survival because of the harsh conditions they face. Can Feral Cats be socialized? Some can. Socialization depends on the history of the cat itself. Some were previous pets who with time and patience may be able to be reverted back to a socialized state. Others may become trusting over time. There are also the exceptions of those cats that were born with friendly personalities. Usually, kittens handled between 8-10 weeks can be socialized. Why do people take Feral Cats to shelters? What happens to Feral Cats who are taken to shelters? 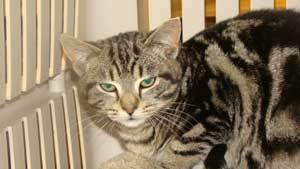 Most Feral Cats are euthanized. The likelihood that a cat with “feral” behavior will be adopted is minimal. Sometimes, even frightened tame cats are euthanized under the label “feral”. PLEASE DO NOT TAKE FERAL CATS TO SHELTERS AS YOU ARE DELIVERING THEM A DEATH SENTENCE. YOU ARE NOT SAVING THEM. Trap-and-Remove is when Feral Cats are captured and killed by Animal Control. It is inhumane, and does not permanently solve the problem. 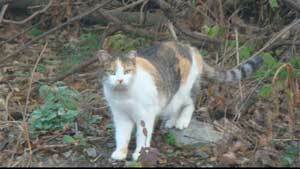 Why isn’t removing Feral Cats from an area eliminating the problem? 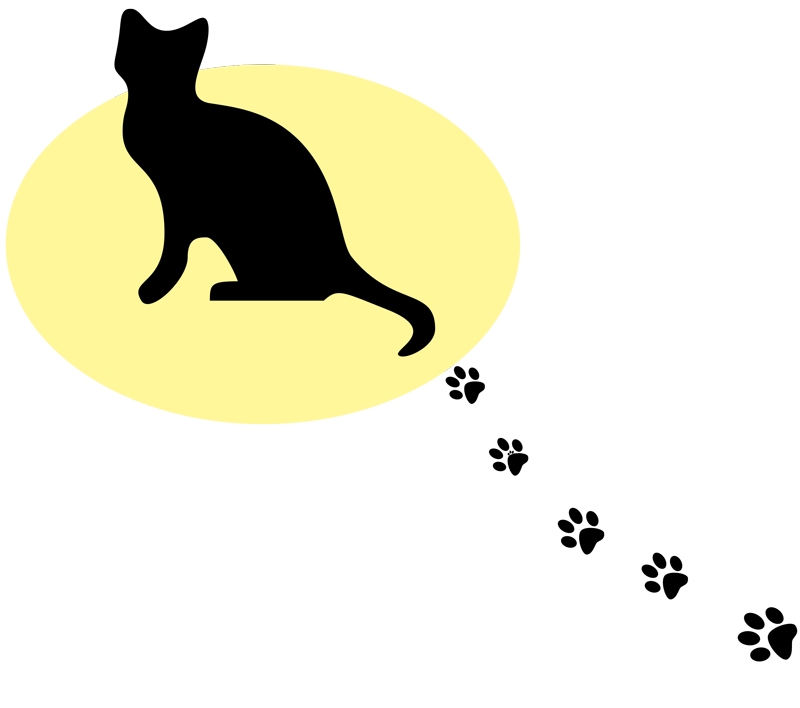 Removing cats from an area does not eliminate the problem because other cats move in. They do this to take advantage of the food and shelter available there. It is called the vacuum effect. Why won’t cats go away if you stop feeding them? Feral Cats won’t go away because it is their “home” and even if it means surviving on garbage, they will not easily leave. As time goes on, Feral Cats that are starving and desperate often venture closer to homes and businesses in search of food and reproduce in those areas. This only increases the problem. STARVING FERAL CATS DOES NOT SOLVE THE PROBLEM. Why should I be bothered about helping Feral Cats? Feral Cats are the direct result of human abandonment and failure to sterilize. Feral Cats are misunderstood, labeled as nuisances and are often treated inhumanely despite the fact that they are already suffering. They were born into their circumstances and did not choose them. They are born homeless and truly are “the poor and needy” of the cat world. At the very least, they deserve compassion and respect. Trap-Neuter-Return (TNR) is a procedure in which free-roaming cats are humanely trapped, sterilized, ear tipped, and eventually returned to their original environment to live out their lives. This controls the population and allows these cats to live healthier lives without exhibiting nuisance behaviors. Trap-Neuter-Return (TNR) solves the problem by breaking the reproduction cycle. In counterpoint, Trap-and-Remove is costlier because it is never completed, has an unending budget and is not supported by the community because it is inhumane and kills Feral Cats. Ear Tipping is a procedure that is performed while the cat is under anesthesia for sterilization. The top portion of the ear is removed in order to easily identify which cats have been sterilized as well as which ones have not. It also alerts animal control that these cats are being cared for and are part of a colony. What can I do to help Feral and Homeless Cats? Trap-Neuter-Return (TNR) is at the top of the list. By controlling endless litters of kittens, you have already improved the lives of Feral Cats. Cats are healthier, quality of life is heightened, and nuisance behaviors stop. If possible, become a caregiver to a Feral Cat by providing a daily meal, water, and shelter. Make the world a kinder one by providing the necessities for a living creature.